The perception of music and its unification with our senses is a well-studied area. I remember being 8 years old, using a pair of (vintage) Technics headphones as a microphone to record all kinds of random noises. “Headphones as a microphone?” you may ask yourself. Well, by using the left side of the membrane as a microphone, it is actually possible. In some way, I figured this out and started recording my own beatboxing sessions and voice-overs. Spontaneously, along with my daily karaoke sessions sitting on the floor next to my family’s rack-mounted Technics HiFi setup, I soon found tapes (Compact Cassette) with music. Kraftwerk, Yanni, Depeche Mode. Mind was blown. Away. “Sweet music”, I thought. And that was it. Kraftwerk started my musical journey which led me into the depths of electronic music, experimental music and sound modulation. So it would be a bit of an understatement to say that I’m an avid EDM fan. I dedicated my entire youth to electronic music and soundscaping. And all of it is thanks to one single band. A band that influenced me so much. And my admiration is far and beyond what words can explain. I’ve recorded a bunch of covers on various Kraftwerk songs. This track is a remix of “The Robots” played on a Yamaha PSR-2000. “We’re the Robots” (Oriental Downbeat remix). The band will perform at Walt Disney Concert Hall in Los Angeles, CA on March 18-21, 2014. Kraftwerk – The Catalogue 1 2 3 4 5 6 7 8 is a chronological exploration of their sonic and visual experiments, showcasing eight classic master works from across their celebrated repertoire with spectacular 3D visualizations and effects. Kraftwerk’s technological innovation and minimalism resonates deeply throughout modern music. Their albums have had a worldwide influence across a wide range of music genres. 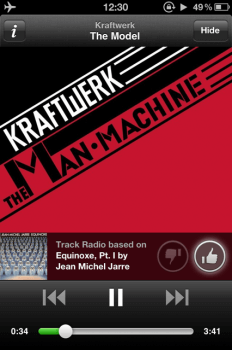 Kraftwerk’s technological innovation and minimalism resonates deeply throughout modern music. Their albums have had a worldwide influence across a wide range of music genres. With their visions of the future, Kraftwerk created the soundtrack for the digital age of the 21st century. Combining sound and images, the performances showcase 40 years of musical and technical innovation, including new improvisations, 3-D projections and animation. Commencing with Autobahn, each performance covers one of Kraftwerk’s groundbreaking studio albums in full and appear in order of their release — Autobahn (1974), Radio-Activity (1975), Trans Europe Express (1977), The Man-Machine (1978), Computer World (1981), Techno Pop (1986), The Mix (1991) and Tour de France (2003) — alongside additional compositions from their back catalog. The tickets are not for sale, but you can register for the chance to get access to the tickets on December 11 when they start selling them. It is possible to buy up to four (4) tickets in total, across the eight shows. This show will be my second time attending a live concert with Kraftwerk. My previous concert was in Malmoe, Sweden (on Saturday 19 May, 2001) when Karl Bartos was on his tour. His single “15 Minutes of Fame” came out the previous year, in 2000, and he was promoted his new music. 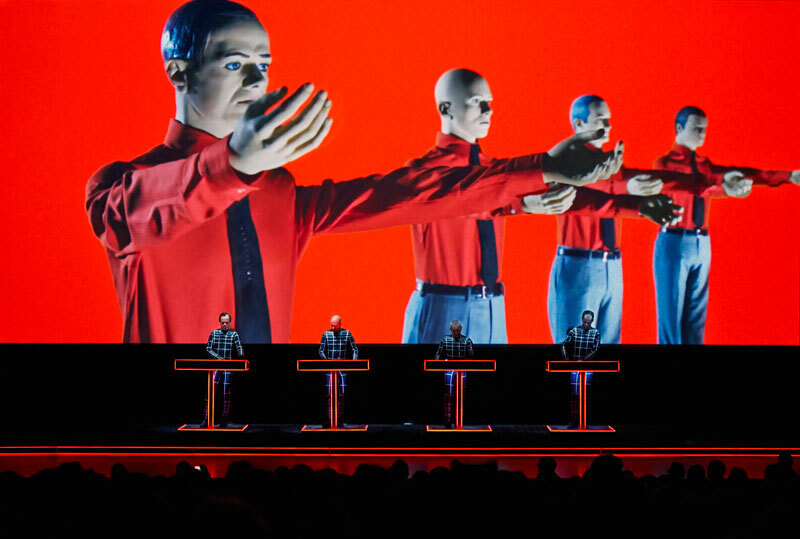 The 2014 Los Angeles concerts will be Kraftwerk’s first L.A. dates since 2005. The northern part of Africa – the southern coast of the Mediterranean – with its desert and mountain surroundings is quite distinct from the rest of Africa. The region has been called ‘island of the west’ and ‘place of the sun’s setting’ by early Arab writers that saw the land as a divergent from rest of Africa, both ethnically and culturally. The four countries of the ‘Maghrib’ (North Africa) are Libya, Tunisia, Algeria and Morocco. They cover an area half the size of United States of America. I have explained the musical history in these areas in the past through my papers on oriental music and theories. The most important impression of North Africa is the rich ethnic tapestry of complex and multifaceted musical history. It also include Spanish Muslims, more known as the “Andalusians” that moved to North African cities in the wake of Christian reconquests and particularly after the expulsion of 1609. The Spanish influences have enriched and vitalized many musical genres in the region. Similarly, the Maltese and Sicilians have historically also lived in close contact with North Africans through laborers and seafaring people that crossed the Mediterranean waters during the era of Aghlabite hegamony from 9th to 11th century. I was pleasantly surprised when I heard the music in Sacha Baron Cohen’s latest blockbuster (I’d like to coin the new term ‘mockomedy’ for this type of flick). The first track of the 40 minute long movie soundtrack is a cover on Dr Dre’s ‘ The Next Episode‘ (listen) which features Aladeen, Mr Tibbz and Aiwa (Um, (un)known artists!?). The second track, ‘Ila Nzour Nebra‘ (listen) by Jalal Hamdaoui is an Moroccan song from the 80’s by Reda Bouchnak more known as a member of the Bouchnak brothers where he played bass and sang the chorus lines. They’re one of the pioneering bands in classic Raï music that evolved oriental and contemporary music, such as Spanish (see above), Ma’luf, Al-Andalus and Malhun. 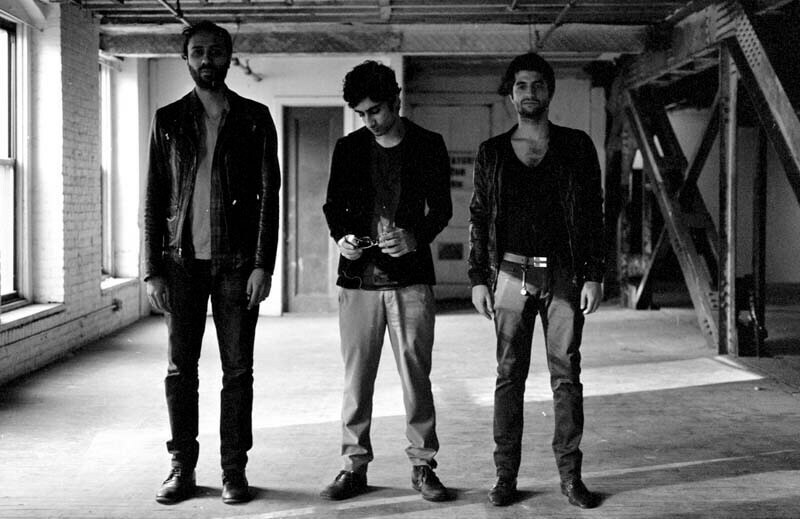 The youngest band member, Hamid Bouchnak which was the lead singer, drummer and keyboard player is actively producing in the industry as of date. A few other famous covers include ‘Everybody Hurts‘ originally by REM, but now sung by the Tunisian MC Rai. A few other more familiar cover songs included in the soundtrack is the old Dolly Parton song ‘9 to 5‘ and Marvin Gaye’s ‘Let Get It On‘. ‘Goulou L’Mama’ has a middle eastern beat that goes along the same line as ‘Ila Nzour Nebra’ which reminds me of Pop music fused with modern Raï. Interestingly, the word Raï means opinion, something the dictator is constantly portraying through something much compared to an absurd visual leitmotif in a fictional cartoon. The music is just a mirror of the movie. It spans from meh, great and terrible. The two lacking cornerstones (musical training and tradition) in the “modern-day” raï (post-1980’s) caused impromptu and improvisational clichés from reggae, pop, rock and other musical genres. That’s basically what has been characterized as Cheb Raï, thus many artists calling themselves Cheb (Khaled, Mami, Khada, Zahouani etc). Nevertheless, the culmination of raï is flimsily represented in Mr Cohen’s motion picture soundtrack, and I am glad that he went extreme with the intertextuality of so many musical genres and dispersed the artistic norms. But the most important question remains: What will be Sacha Baron Cohen’s next project? Listen to the songs from ‘The Dictator’ either on Amazon or through the following direct link on Spotify. 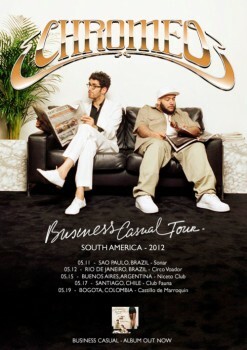 My favorite electrofunk duo is jamming their way through the South American territory on the ‘Business Casual Tour’ which started off on May 11 in São Paulo at Sónar a.k.a the “International Festival of Advanced Music and New Media Art”. 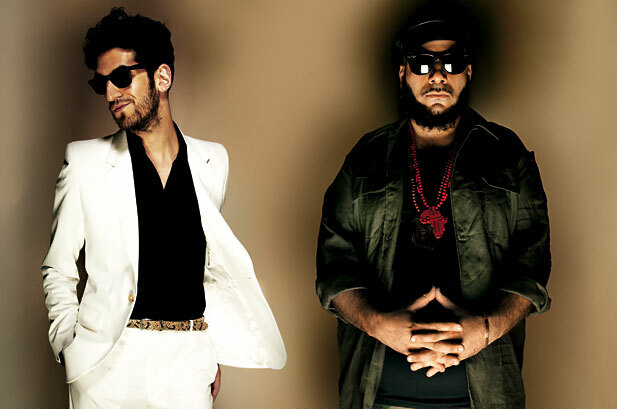 Last time I wrote about Chromeo, they had just got back in the studio after a 18 month long tour around the globe, where they had nearly 50 tour dates. On May 12 they played at Circo Voador in Rio de Janeiro followed by a few days of recreational slacking and hunting for Brazilian Caquis ‘Persimmon’ (see photo proof below). The ‘Tenderoni’ stage legs were there as well, of course! The duo has since played in Buenos Aires, Argentina and Santiago, Chile. The tour ends with a gig in Bogota, Colombia on May 19th. Dave-1 and P-Thugg have shared a few photos from the tour on Instagram (along with a bunch of fan photos). Below are a few pictures that I have randomly Statigram’d for your pleasure. Let us see what’s going on When The Night Falls. Heh. Make sure to check out their albums ‘Business Casual‘ and ‘Fancy Footwork‘. They’re awesome!